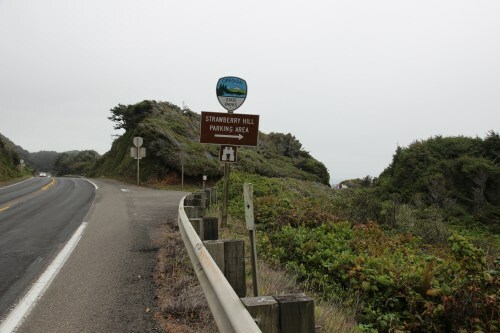 Neptune Viewpoints - "Strawberry Hill"
Hwy 101 mile marker 170. 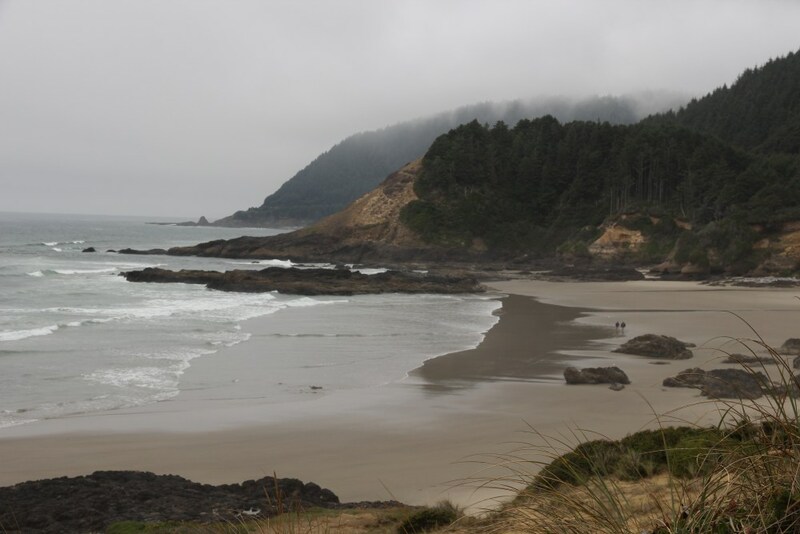 This is the third of the four "Neptune State Scenic Viewpoints" and its associated beach. .
Oregon Parks link:Neptune State Scenic Viewpoint No fee required. 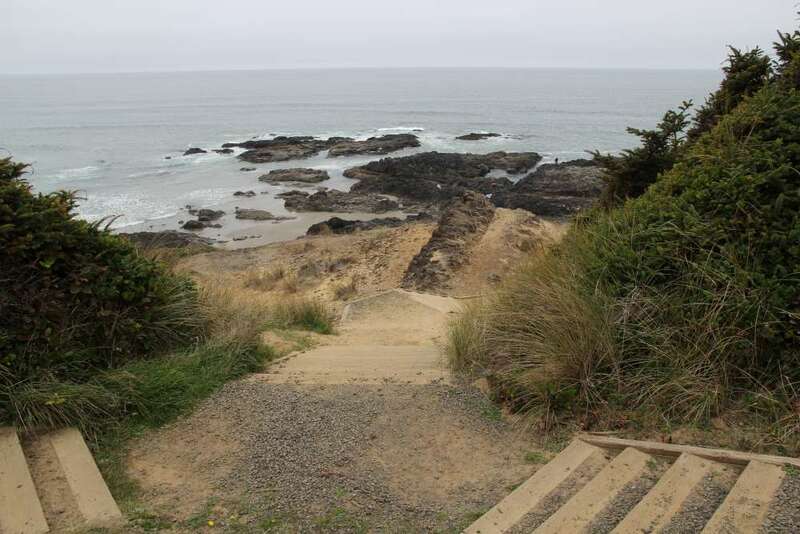 Some wooden steps lead down to the beach. 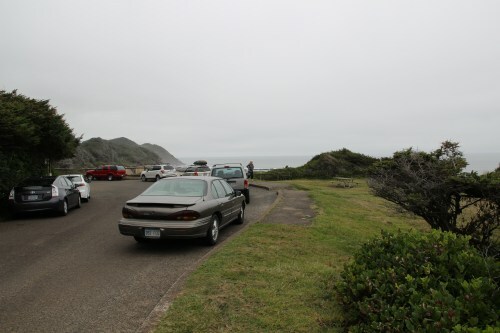 You can see the tidepool area in the distance. During low tides these can be explored.